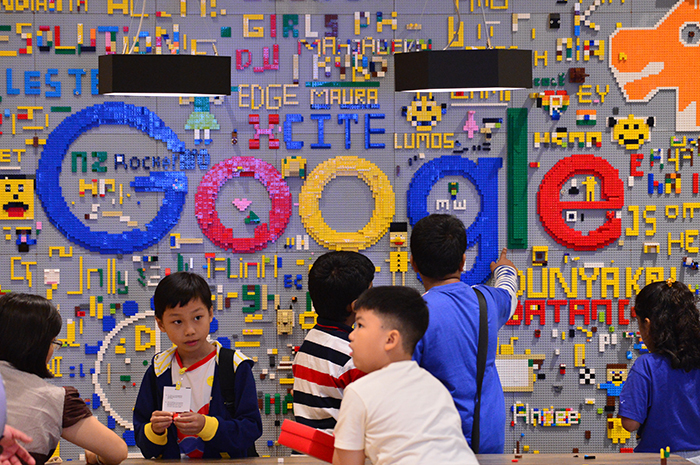 Back in November last year, we reported that Google has plans to give back to the community by sponsoring coding lessons for underprivileged kids in Singapore. Fast forward to 6 months later, and we finally have an inkling of what Google has been working on to equip a new generation with the essentials required for basic coding. 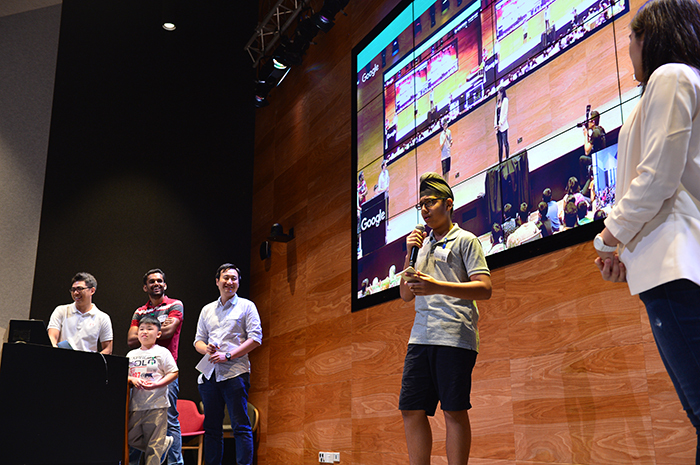 Code in the Community is a Google initiative which aims to sponsor some 3,000 underprivileged children in Singapore with free coding lessons. 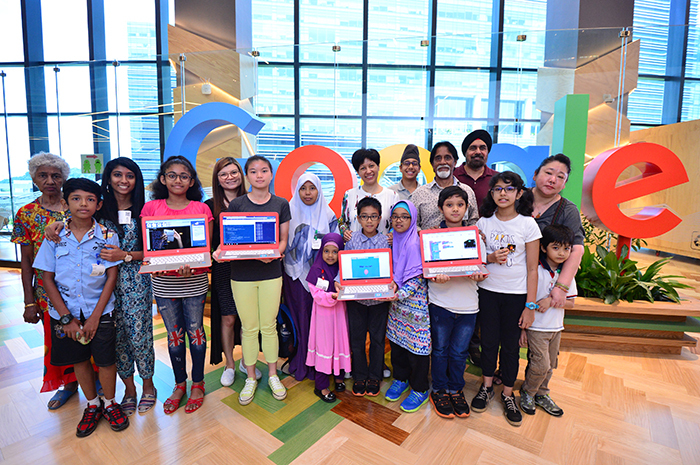 A 3-year program for kids aged 8 to 15 years old, Google partnered with groups such as Chinese Development Assistance Council (CDAC), the Eurasian Association (EA), Yayasan MENDAKI and the Singapore Indian Development Association (SINDA) to reach out to the kids. For the children to be eligible for this program, they first have to be current beneficiaries of one of the four mentioned organisations, or at least recognised by these groups to have come from a low-income family, or be under the MOE Financial Aid Scheme (FAS). The coding lessons themselves will be taught with the help of coding school Saturday Kids and 21C Girls, a charity which conducts free coding classes for girls in Singapore. Courses are divided into Junior (8 to 11 years old) and Senior (12 to 15 years old), where each group will be taught varying levels of coding using either Scratch, an interactive software program, or Python, a text-based programming language for the more advanced classes. 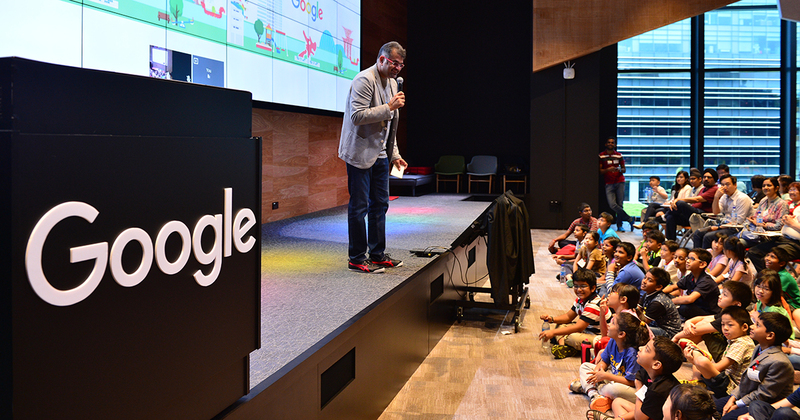 With the first term starting earlier this year in February, the pioneering cohort of 500 kids who went through the program has graduated this past weekend at an event held in Google Singapore. 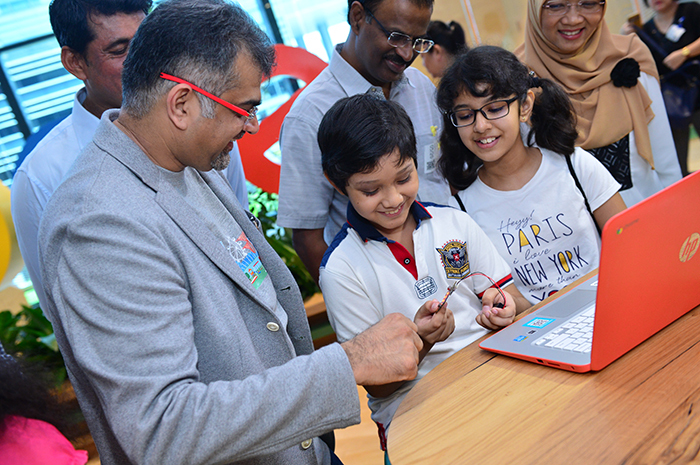 Google’s D N Prasad, Director of People Operations in Asia Pacific, was in attendance to meet the kids personally as they demonstrated the different projects created during the 10-week course. The projects range from computer games by primary school student Matthew Chua (10 years old) and an app that authenticates IC numbers by secondary school student Keeret Singh Sandhu (13). Other projects of note include one with race cars by Anesh Ashouk Giri (10) and Anesha Leoraa Giri (12) that makes use of micro:bit, enabling them to control the movement of the race cars on a track. Mr Prasad hopes that through this program, it will encourage the coming generation to imagine, invent and explore with technology, while still having fun picking up essential skills that will prepare them for jobs in the future. Partners of the program echoed similar sentiments, given the world today is very much tech-driven. Founder of 21C Girls, Ayesha Khanna, even went a step further by stressing that computational thinking should be considered a civil right that ranks alongside reading, writing, and speaking. Also the nurturing environment will ensure that the participants will not just be looking at code and software. Ayesha says that they are also taught to think creatively, dabble in electronics and robotics, as well as solve real-world challenges. The next cohort is slated to start the course later this year in July, with registrations for the second year of the program in 2018 opening near the end of this year. Those interested should first check with the aforementioned organisations on your kids’ eligibility for the program before proceeding to sign up for the program with Code in the Community.